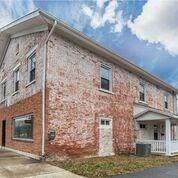 Mixed use opportunity! This unique building has so many possibilities! 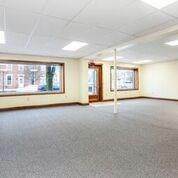 Store front retail or office space that has been completely remodeled. 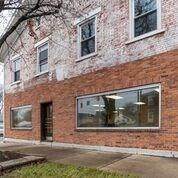 Completely rewired, new plumbing, new HVAC, new carpet, its all been updated and is ready for your business or office to take advantage of a highly traveled location. You will also find a 3 bedroom, updated kitchen, apartment with over 1600 sq. ft.! Very large bedrooms, family & living room. A clean, dry basement is perfect for storage. All of this plus a 2 car garage & a large parking lot with ample parking space that has recently been paved. 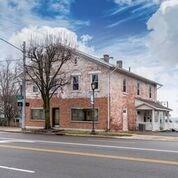 You can run your business & rent the apartment for extra income, or live next to your business/office. So many possibilities! Listing provided courtesy of Shari Stover of Garden Gate Realty, Inc..